A delightful introduction to patterns! 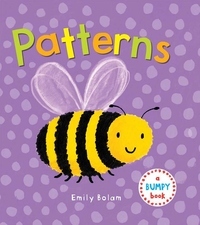 Whether it's stripes or polka dots, children will learn about unique patterns in Patterns. Each spread is full of glossy, embossed patterns to trace in this tactile learning experience. Little ones will love each brightly colored pattern and are encouraged to spot the patterns around them!